Item # 311022 Stash Points: 12,800 (?) This is the number of points you get in The Zumiez Stash for purchasing this item. Stash points are redeemable for exclusive rewards only available to Zumiez Stash members. To redeem your points check out the rewards catalog on thestash.zumiez.com. 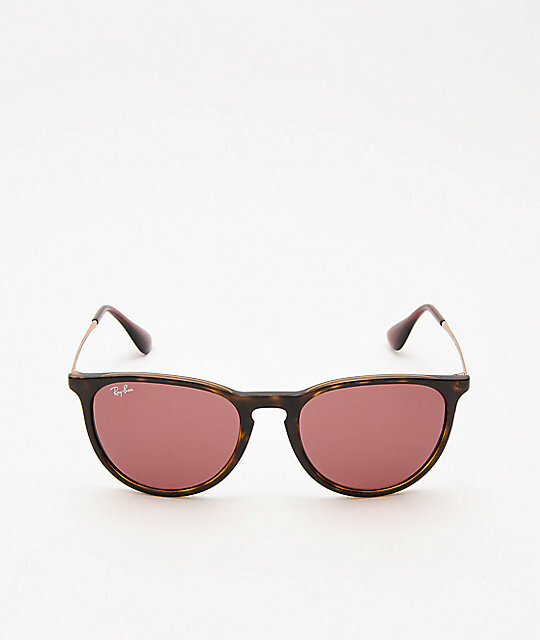 Complete any look in the RB4171 Erika Tortoise and Dark Violet Sunglasses from Ray-Ban. These sleek shades come in a brown tortoise colorway with round, oversized lenses, and copper metal temples. Dark Violet lenses offer clarity and 100% UV protection, while the overall design adds a classy feel to your look. 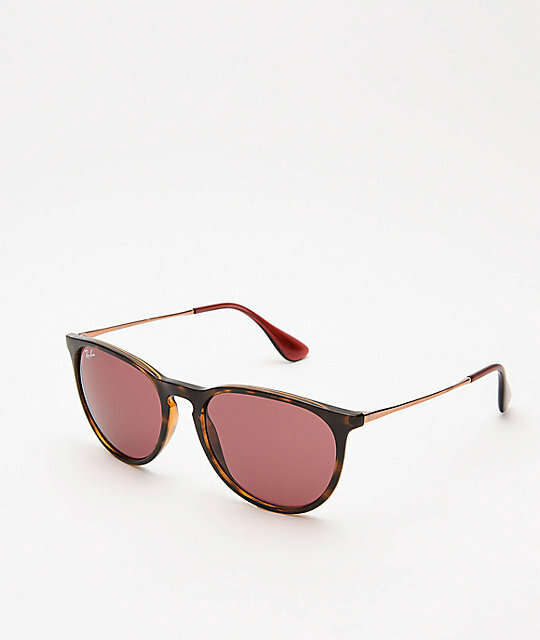 RB4171 Erika Tortoise & Dark Violet Sunglasses from Ray-Ban. Brown tortoise frames with copper metal temples. Oversized round shape for extra coverage. Dark Violet Classic lens offers clarity. Ray-Ban logo detailing at the temples and lens. Protective carrying case and lens wipe included.